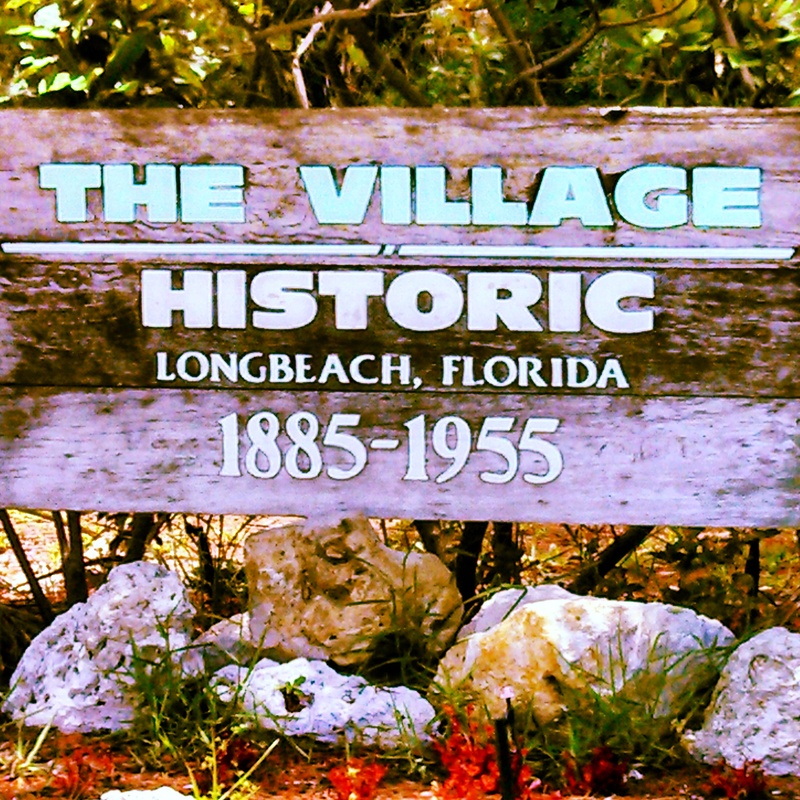 The Discover Small Town America Tour recently explored historic Longbeach Village, which was founded in 1885. 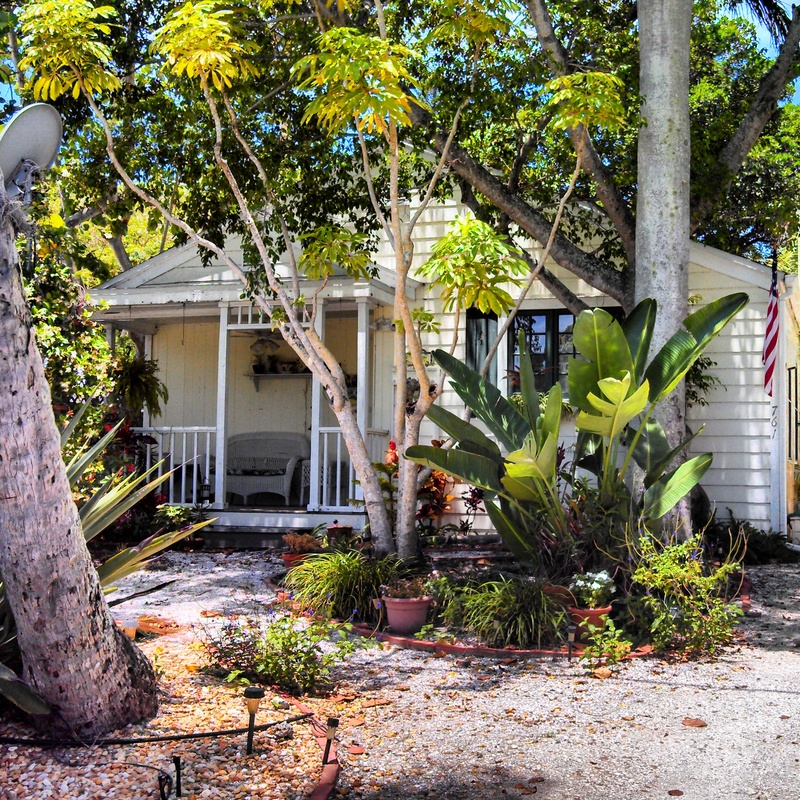 Located in western Manatee County on the Gulf Coast of Florida, the village is a classic representation of “Old Florida”. 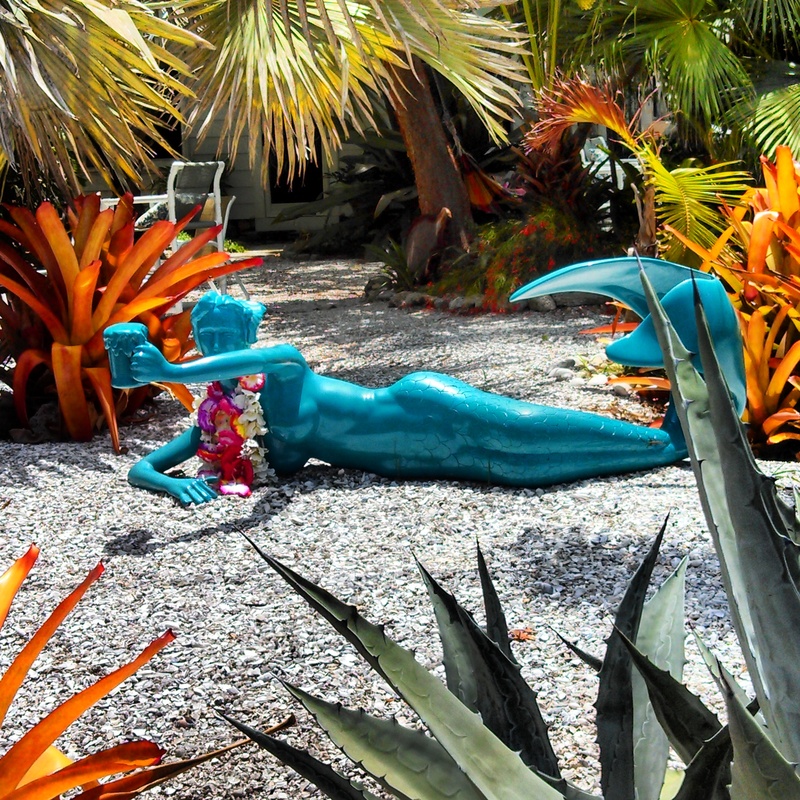 While it was home to a thriving fishing industry in the early 1900s, today the Village is noted for its active arts and cultural activities and its tropical beauty. 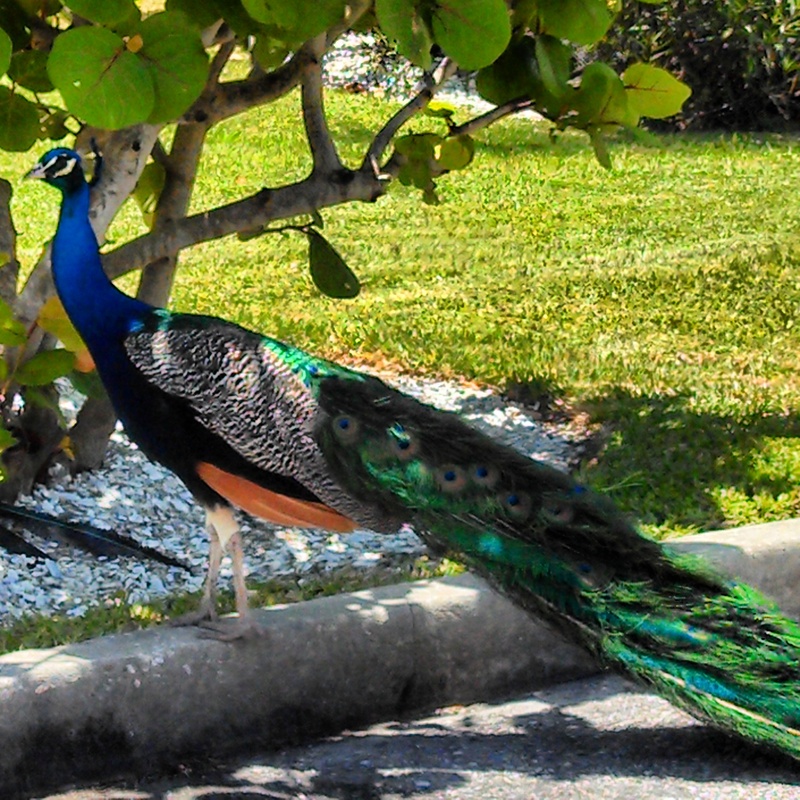 One very unusual aspect of Longbeach Village is its peacock population. The magnificent birds roam free in the streets, strut around the yards and perch themselves on the roofs and porches of Village residents, sometimes to their dismay. In its earlier days, simple cottages with tin roofs and front porches were constructed as homes for local residents. Many of the original homes still stand today, a testament to the resilience of both the structures and their owners. According to the local historical society, the Town Dock served as a disembarkation point in the early 1900s for “the Mistletoe Steamship (which) transported visitors and fishermen from the mainland…”. By 1913 there was the Longbeach Hotel, a dock on the bay end of Main Street, now known as Broadway Street, a bathhouse on the Gulf of Mexico and 16 residences. Several houses were constructed with blocks made from using Sears Roebuck forms”. Rorie and Bart, while skeptical in the past, now know there ARE creatures called “mermaids”. They saw one having a beer on the front lawn of a Longboat Village resident’s home. The flower lei added a nice touch! 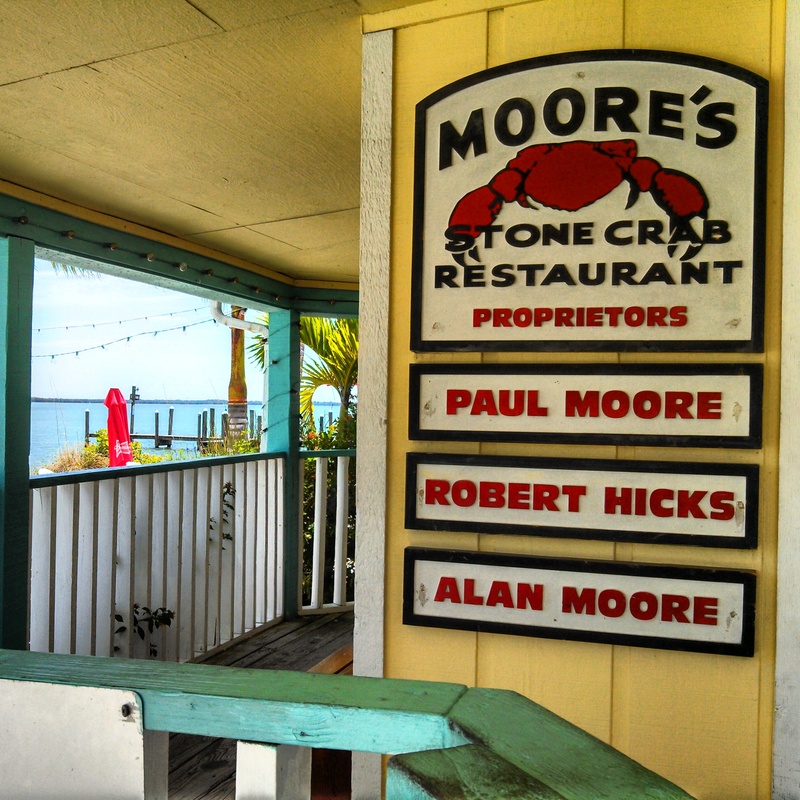 As is obvious by its name, Moore’s is famous for its stone crabs, which are in season from October 15 to May 15. But these delightful morsels are not why we really like this place. 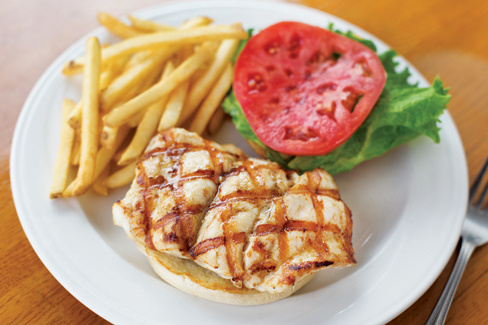 Aside from its awesome location on Sarasota Bay offering amazing views, Moore’s has great grouper sandwiches with generous portions of fresh fish caught right off the dock. And they also have – according to our resident dessert expert – killer key lime pie. 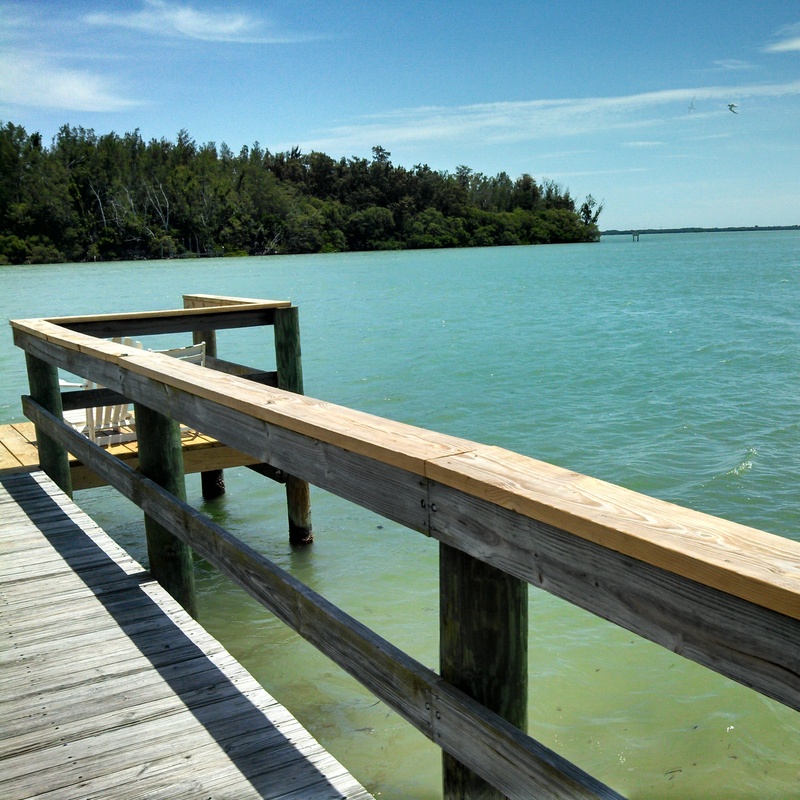 While soaking up the great food and amazing scenery, you have to keep a lookout for any of the 120 dolphins that call Sarasota Bay home. Needless to say, we were pleased to see that locals named a village street in honor of your Discover Small Town America Tour “proprietors” (kidding). Great photos. That’s a destination! 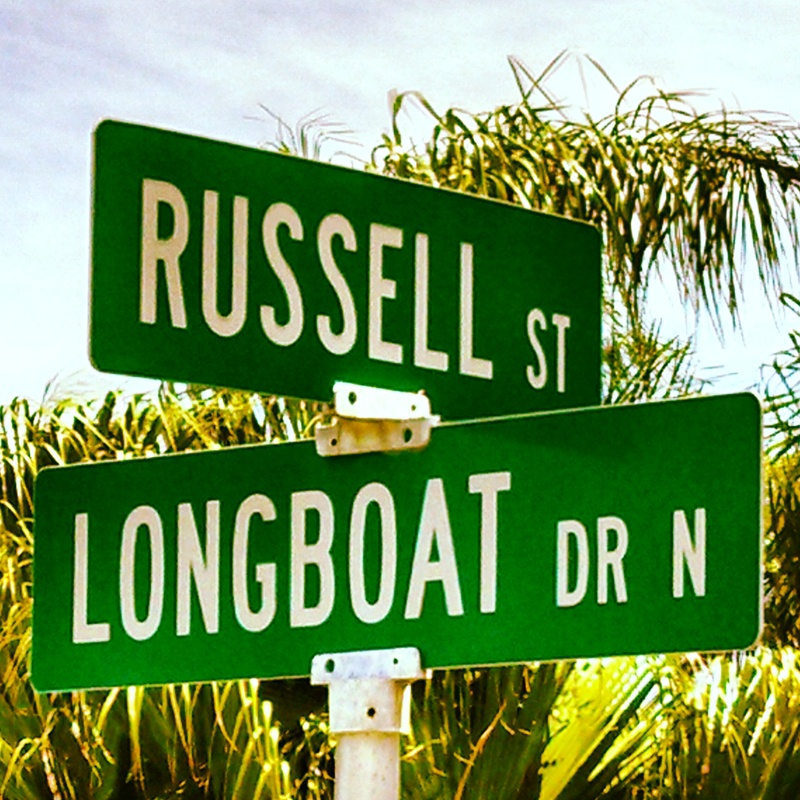 Gotta love that LONGBOAT KEY!!! !